Where I can use Linux? 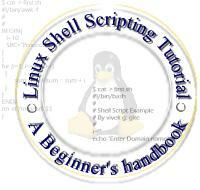 What is Shell Script ? Why to Write Shell Script ? How to de-bug the shell script? How to write sed scripts? Shell script to implement getopts statement. Printing the patterns using for loop. Shell script to determine whether given file exist or not. Shell script to print "Hello World" message, in Bold, Blink effect, and in different colors like red, brown etc. Shell script to implements menu based system. Shell script to gathered useful system information such as CPU, disks, Ram and your environment etc. Script to convert file names from UPPERCASE to lowercase file names or vice versa.